Each year, November 11 is recognized as a day of solemn reflection throughout many nations in honor of those who bravely served them. The day is known by many names, including Armistice Day, Remembrance Day in British Commonwealth countries, and Veterans Day in the United States. 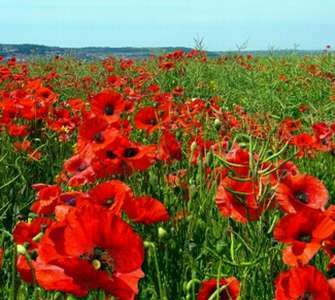 This year also marks the 100 year anniversary of the armistice to end World War 1, signed between the allied countries and Germany at Compiègne, France on November 11, in 1918. The armistice went into effect at 11am Paris time, on the 11th hour of the 11th day of the 11th month. In the United States this year, Monday, November 12 is set aside to commemorate and honor and recognize their service to the nation. Although we should honor our veterans every day, please make a special effort to thank all of those you know. Although most veterans don’t seek attention, it shouldn’t be difficult to find one. There are over 20 million former and active veterans in our country today. Even if you can’t thank them in person, please observe a moment to thank God for our brave men, women and their families. Coinciding with this Veteran’s Day weekend is the 243rd birthday of the US Marine Corps, whose origins trace from an October 1775 plan by the Continental Congress to use Marines to oversee a mission to intercept ammunition shipments from Britain during the Revolutionary War. The following month, a resolution was adopted that officially created a standing Marine Corps force on November 10, 1775, the date that became the USMC birthday. True to their humble roots, the Marine Corps Birthday is not a federal holiday, but observed only internally by the military branches; although some local government and civic organizations sometimes hold various events to honor the men and women of the Marines. The primary historical celebration is the traditional Marine Corps Birthday Ball. The first known Birthday Ball was held in 1925 Philadelphia, but is now held annually in our nation’s capital. This Veterans Day Weekend also coincides with the recent Supreme Court’s agreement to hear arguments in the case of the Bladensburg Peace Cross. The dispute began in 2014 when members of the American Humanist Association filed a lawsuit to have the memorial removed, claiming it discriminates against soldiers who were not Christian. The humanists were later joined by the Council on American-Islamic Relations in their efforts to destroy the cross that has stood for almost 100 years, and was financed by the American Legion and private donors. Sadly, precious few Americans today know a single thing about World War I. This is unconscionable, because we can still feel its aftershocks all over the world today. Forgetting our history has very damaging consequences if we ever hope to attain real progress in this world. And the point of war memorials is to remind us of such things, and to bid us never to forget. So there is great poignancy in the timing of the Supreme Court’s recent agreement to consider the case of The American Legion et al. v. the American Humanist Association et al. The court will decide whether a World War I memorial in Bladensburg, Md., may remain standing, or if it constitutes an illegal mix of church and state. The American Legion is appealing the Oct 18, 2017, decision of the Fourth Circuit Court of Appeals that the memorial must go, which overturned a previous ruling allowing the memorial to stand. Ms Morabito also explains the religious and historical aspects of why we need the memorial cross. Other excellent articles are from World Net Daily, a concise story on the SCOTUS taking the case, and the Daily Signal, who has the perspective from actual veterans on their thoughts about the efforts to remove the memorial cross. Please be in prayer for the families of these veterans and all others involved in this very important religious freedom case. We’ll end this post on a lighter note. I was reading through this month’s issue of Electrical Construction and Maintenance (EC&M) Magazine, when I came across an article on Electricity and World War I. The subject of the article was the pivotal role that electricity played in the First World War. This article is also the source of the old photos used in this post. 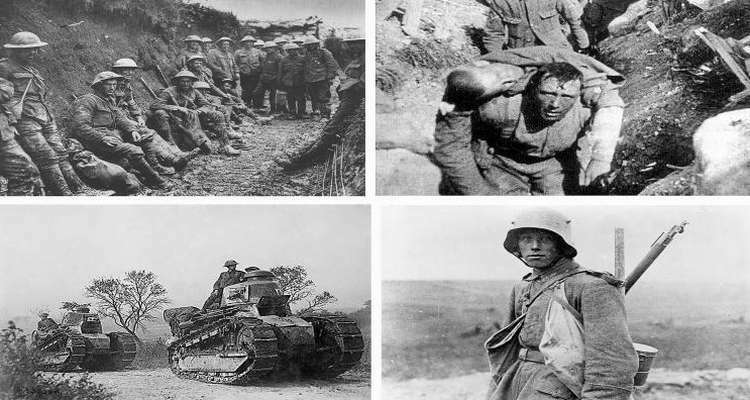 The article notes some of the “firsts” that were introduced into combat during the First World War, in addition to rapidly developing electrical technology such as warplanes for bombing, steel helmets, blood banks, and guide dogs. In 1917 and 1918, the Holt Manufacturing Co and General Electric Co collaborated to invent the Holt gas-electric tank, the first prototype tank built in the United States. The tank used a gasoline engine connected to an electric generator to provide power to its various parts. Unfortunately, the tank was prone to overheating and lacking maneuverability, so the machine was the only one of its kind built. Fortunately, it was not needed since not a single American-made tank ever saw service in the war, and the US dominated technical development and manufacturing afterward. In other technological gains, incandescent and carbon-arc searchlights became game changers for the allies. These lights were crucial for nighttime operations such as navigation, illuminating enemy ships, blinding enemy troops to allow torpedo boats to navigate closer to enemy ships, and for spotting and guiding warplanes during bombing raids (no GPS in those days). WWI battleships also benefited greatly from advancements in electrical technology. Most devices and equipment were electrically power and operated, many by remote control. In addition, electricity was now being used to pivot and aim guns, and to lift ammunition from the magazines up to the guns. The various weapons such as rifles, machine guns, artillery, mortars, and flamethrowers, led to millions of human injuries and created a medical crisis. In response, Marie Curie, a Polish and naturalized-French physicist and chemist who became the first woman to win a Nobel Prize, invented the “radiological car” (aka the “Curie car”). This vehicle contained an X-ray machine (a recently invented medical diagnostic tool) and photographic darkroom equipment. This invention allowed medics to bring this new technology to the battlefield. Ms Curie also incorporated an electrical generator into the car to power the X-ray machine. WWI also resulted in the establishment of the first blood bank. Oswald Robertson, a US Army doctor came up with the idea of storing blood prior to the arrival of casualties. He established the first blood bank on the Western Front in 1917, from where it was transported to various medical stations as needed. This idea is credited with preventing thousands of deaths. Finally, we mention that after the war, Dr Kurt Huldschinsky, a German pediatrician of Polish descent, noticed that many of his young patients were extremely pale. In addition, it is thought that about half of Berlin’s children suffered from rickets (a softening, weakening and/or deformation of skeletal bones). Since sunlamps had been used throughout the war to help treat soldiers’ wounds, the doctor began placing a few of the children under mercury-quartz lamps which emitted ultraviolet (UV) light. His patient’s bones slowly became stronger and the following summer (1919), he also began having them sit in the sun. The doctor’s research eventually led to the discovery that the process of Vitamin D strengthens the bones with calcium is triggered by UV light. Thus, God used the circumstances of the war to cure this children’s ailment. In closing, we ask once again that we pray for, and honor all our veterans and their families. Today marks the annual International Day of Prayer for the Persecuted Church (IDOP), a day on which churches, Christian groups, and individuals across our nation and the world join together in prayer for our persecuted brothers and sisters in the Faith. This year’s observance coincides with breaking news of another deadly attack on Christians in Egpyt, and a critical turning point in a decade-old case in Pakistan. In Egypt, several Christians were killed and over a dozen injured in the second bus massacre in the past year. Two church buses were returning from a visit to a desert monastery when they were violently attacked by masked gunmen. One bus driver managed to escape with his passengers unharmed, but the second, including family members returning from a baptism, suffered the casualties. The Islamic State, who frequently targets Egypt’s Coptic Christians, has claimed responsibility for the attack. This was merely the latest in a long string of attacks on the Coptic Christian community, who proclaim to trace their roots back to Mark, the companion of Peter and writer of the second Gospel. Let's please keep this group in our prayers. The second story is undoubtedly one of the highest profile cases over the past decade. It involves the acquittal of a Christian woman, Asia “Bibi” Noreen, after spending eight years on death row in Pakistan for the false charge of blasphemy. Since her arrest, countless Christians, including ourselves, have been fervently praying for her release. This is a long story so we’ll give the highlights and include links for those interested in learning more details. Ms Bibi’s ordeal began in 2009, when she brought a bucket of water to some Muslim co-laborers who were harvesting fruit. The women claimed that, since Ms Bibi was a Christian, she had made the cup “unclean” and as a result, they could no longer drink from it. They later beat Ms Bibi at her home, and after she refused to convert to Islam, her co-workers complained to the police. They accused her of “blasphemy” and claimed she even confessed during the beating. This resulted in to her arrest; after which she was convicted of blasphemy and sentenced to death by hanging. Pakistan added blasphemy as a separate article to their penal codes in 1986. These blasphemy laws, which carry a recommended sentence of death or life imprisonment, are extremely controversial and almost impossible to defend against, since the law code does not even define what actually constitutes “blasphemy”. Thus, it is often used (or more accurately, abused) in disagreements with, and to target religious minorities. After Ms Bibi’s conviction, she spent eight years in prison while her appeal hearing was repeatedly delayed, until finally receiving a hearing and being freed this past week (Oct 31, 2018). Yet, this could turn out to be only a temporary victory. The Tehreek-i-Labaik (TLP) party, an Islamic extremist group, immediately organized and launched nationwide protests calling for Ms Bibi’s execution. Due to these protests, her lawyer fled to Europe for his own safety. Even more troubling however, Pakistani officials, in an agreement with the extremists to stop the protests, agreed to ban Ms Bibi from leaving the Pakistan even though several countries have offered her asylum. We must continue to pray for Ms Bibi’s safety since many attempts have already been made on her life, and likely will continue until she is allowed to leave. 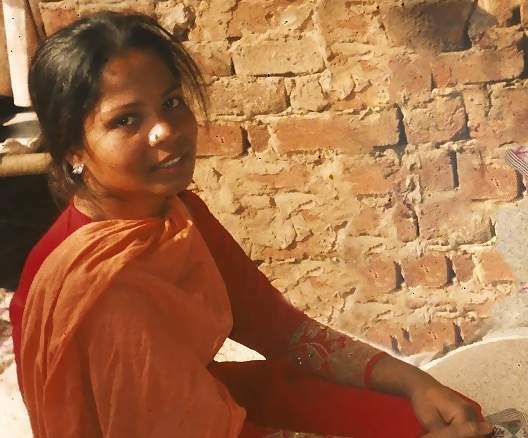 For more information, the BBC has a good article on Why Pakistani Christians are Targeted, and Open Doors USA writes about Five Things Christians Need to Know about Asia Bibi and the Church in Pakistan. I find very few things as inspiring as listening to the stories of Christians that are being or have been imprisoned, persecuted and even martyred for their faith. I rarely hear them request prayers for their own comfort. Instead, they typically ask for grace to forgive their persecutors (Mt 5:43-44, Rom 12:14) and for courage to continue to spread the Word (Ac 4:29), even to those who are oppressing them. In these faithful saints, we’re seeing true first century Christianity displayed before our very eyes. Please continue to pray (Heb 13:3). The Poppy Memorial is a translucent structure that measures 133 feet long, 8 1/2 feet tall and is filled with more than 645,000 poppy flowers — honoring every man and woman who gave their life in service of our nation since World War I. USAA is sponsoring the installation. Inspired by John McCrae's World War I poem, “In Flanders Fields,” the poppy is a widely-recognized symbol of remembrance. In conjunction with the memorial, USAA has set up a website, Poppy in Memory, where anyone can dedicate a poppy to a fallen hero, and the poppy will then be added to the display. For our annual Memorial Day Remembrance, see our 2018 Memorial Day Tribute to our fallen heroes who made the ultimate sacrifice for our freedoms. God Bless our Troops! Whether it’s because you found a great job or you just want to change where you live, you are planning a big move. With all the work you have to put into finding the house, hiring movers, and dealing with mortgages, it’s easy to forget about finding the right school. Your kids’ school will have a huge effect on their development both in terms of education and social life. You make friends for life in school, and it obviously impacts your college chances. That’s why it pays to find the right school before moving. You need to start by looking at where the schools are in your new hometown. Urban planning and school district boundaries cannot be perfect. That means you can find a great house and still have a bad school. That’s why you have to look at the neighborhood where the school is at as well as your new home. The New York Times explains that the longer your children go to school in a bad area, the worse things get for them. The quality of a neighborhood affects those who live in it. Since your kids spend so much of their time at school, that area can mean more than where your home is located. Is there a lot of graffiti? Are there abandoned buildings nearby? Do you see many school-age children running around when school is in session? Do you suspect illegal activity nearby? All of these are indicators that the surrounding area is bad, which typically means the school isn’t doing well either. Even if a school is located in a good neighborhood, that doesn’t guarantee the school itself is good. That’s why you should contact local schools before you move. Ask them about their curriculum, discipline, and funding. Although school funding isn’t always tied to student achievement, how many bad schools do you find in rich areas? You should also make sure all teachers are certified and, for elementary schools, that recess is still offered. Young kids need recess to establish good exercise habits and burn off excess energy. Some communities even offer virtual schools where students stay at home and attend classes online. You did your research and found what looked like the best choice. But a few weeks or months into the school year, you start to realize that you made a mistake. That’s not uncommon as you really never know until you enroll there. What can you do? 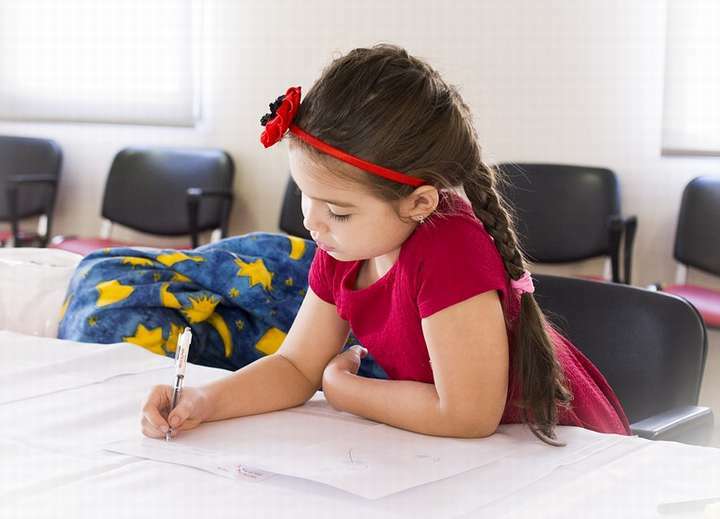 Although the law states children must attend school, FindLaw.com says you still have some school choice. Before you leave, talk to the school administration about your concerns. If they cannot be addressed, you have to send a formal withdrawal letter to the school. Then you can enroll your kids elsewhere or even homeschool them. Admittedly, it’s hard to find a great school before you move. But there are things you can do to tip the odds in your favor. Check out the school’s neighborhood and talk to them before enrolling. You often have a choice of schools these days, so don’t be afraid to withdraw from a school that’s not working out for your kids. After all, they’re the important ones in this scenario. If “diplomatic dance” were an event at the Winter Olympics, Kim Jong Un's younger sister would be favored to win gold. With a smile, a handshake and a warm message in South Korea's presidential guest book, Kim Yo Jong has struck a chord with the public just one day into the PyeongChang Games. Seen by some as her brother’s answer to American first daughter Ivanka Trump, Kim, 30, is not only a powerful member of Kim Jong Un’s kitchen cabinet but also a foil to the perception of North Korea as antiquated and militaristic. CNN thus implies that, KJU’s sister flashing a smile offsets all the images and other news coming out of N Korea. Evidently, all the military parades, missile tests, and the killings of vast numbers of their citizens were totally misinterpreted by those outside of the media. CNN gives us further enlightenment of how we’ve further misunderstood N Korea in a separate article. So according to CNN, if you’re a young woman looking for a great career with advancement opportunities, send your resume to Kim Jong Un today! To CNN’s credit, the writer did include some information that distinguished the article from that of a a press release written by the N Korean public affairs office. CNN also included the fact that Kim Yo Jong is a close aide to her brother, but you have to look for it deep into the article. The writer also mentioned the 2-3 million N Koreans that have starved over the past couple of decades, but blamed this on famine caused by withdrawal of food subsidies from China and Russia, collective farming [state-run and controlled], flooding and droughts. There was no mention of the millions and millions of dollars of foreign aid for food that was routinely diverted to the military, including nuclear facilities, but this would have contradicted CNN’s portrayal of N Korea as a modern peace-loving progressive society. We’re all familiar with North Korean dictator Kim Jong Un’s constant threats of nuclear war, but there are many other stories that get ignored by the media. We often see videos of enthusiastic cheering by his military leaders and others around him, but no mention that KJU imprisons and tortures anyone who he even suspects of hinting at disloyalty to his regime. His government has systematically destroyed churches and attempted to eradicate any signs of Christianity except for a few “token” churches left open to promote his claims of religious freedom. Any true Church leaders and Christians are routinely rounded up and sent to prison camps. Even associating with a Christian can result in being detained for questioning. In shades of Nazi Germany, children are targeted early for government propaganda and brain washing (the American left has also very successfully adopted this strategy). During school days, a few children are assigned the “honor” of keeping watch while the other students are studying or playing at recess. What do they watch for? They are told to watch for incoming bombing raids by American war planes. This is one of the reasons for lack of resistance to the N Korean nuclear program. People are taught from childhood that attacks by the West are imminent. Children are also taught to spy on their parents and neighbors, so Christians must pray with their eyes open and worship secretly, even in the “privacy” of their own homes. “Offenders” are typically sent to prison camps for the smallest of infractions. There are two types of prison camps in N Korea. Both are basically concentration camps in which prisoners are used as harsh slave labor for government-owned factories, and are also subject to torture and public executions. The Kyohwaso is a re-education type camp for those accused of “lesser” offences. Theoretically, prisoners are eligible for release after completing their sentence and deemed to be “rehabilitated”, but many don’t survive the harsh conditions. The Kwanliso camps are for more “serious” crimes such as criticizing the government or attempting to flee the country. Prisoners in these camps are considered beyond redemption, so are basically under a life sentence in order to “protect” society. Some Christians might be “fortunate” to be sent to a Kyohwaso camp, but many are sent to one of the Kwanliso camps since Christianity is considered as dangerous as narcotics in N Korea. Christians are also seen as political prisoners, since Christianity is viewed by the NK government as a means by which the West attempts to “invade” and infiltrate the country with Western and capitalist ideas. Nearly 40 percent of prisoners die from the beatings and/or starvation. Many others manage to barely survive by eating some of the rats that infest the camp. It is estimated that about 30% (30,000) of 100,000 N Korean Christians currently are imprisoned in one of the Kwanliso camps. Yet, even in the darkness is a glimmer of light, as reported in The Voice of the Martyrs February 2018 Newsmagazine. Here, we find the story of “Kyung-ja” (names changed for protection), a mid-fifties North Korean woman detained because her daughter had defected to South Korea. As Kyung-ja was being beaten with a club, she drifted in and out of consciousness and heard the guard shouting out unfamiliar words like “God”, “Jesus” and “Bible”. After two months of beatings, it was determined that Kyung-ja had no ties to Christianity so we was sent to a Kyohwaso camp for “re-education”. Her curiosity had been peaked however, so one day she asked a fellow prisoner, “What is God, and what is a Bible?” The prisoner whispered that “There is such a thing, but you must not ask [for your own safety]”. After six months, during which she witnessed many atrocities and deaths of fellow prisoners, Kyung-ja was released. Eventually, her daughter was able to raise enough money and obtain the aid of a pastor to help Kyung-Ja defect to S Korea. Only then, was she able to obtain some answers to her questions about Christianity. Today, Kyung-ja never misses a worship service or an opportunity to share her testimony with others. She also works with a VOM-sponsored ministry that reaches out to N Korean Christians and defectors. The irony is not lost on her that, if she had never been arrested, she would have never heard of Christianity, and that the seeds of the Gospel were planted by a N Korean guard attempting to eradicate Christianity. Kyung-ja story is amazing, but not as uncommon as we might think. Similarly, we continually see large numbers of Muslims turning to Christianity due to the brutal tactics of groups like ISIS, Boko Harem (W Africa), Al Shabaab (E Africa), Al Qaeda, FARC (Colombia), and others. I heard of one case about 18 months ago, where Muslim neighbors hid Christians in their homes after their village church had been attacked and burned by Islamic terrorists. Just as in the first few centuries in which the blood of the martyrs was the seed, we now see unequaled numbers of Muslims coming to Christ. Let’s continue to pray for Christians in restricted and hostile nations.